In 2007, Up Marketing was working with the Ontario Power Authority, various ENGOs and many public and private companies to help them promote home energy conservation. However, there was a lack of media vehicles that could effectively deliver and support this message. To fill this gap and present the relevant technology, systems and government incentives, Up Marketing launched Our Green Home. 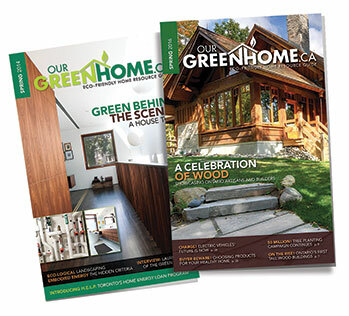 The publication has a circulation of 250,000 copies distributed with Globe and Mail, Toronto Star and Ottawa Citizen, plus home and cottage shows and a network of single copy collection points including public libraries.